If I was in the Army, my nickname at work tomorrow would be Major Chafeage. 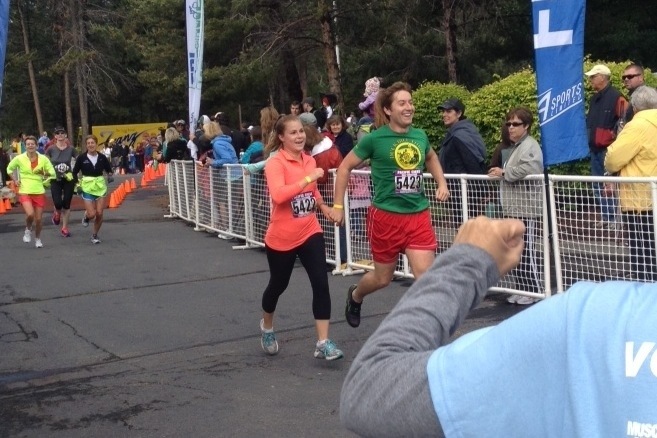 This morning, Leah and I completed our first ever marathon with a net time of 4:01:51. Considering I, somewhat stupidly, climbed Table Mountain yesterday, it was awesome to have such a great finish. Highlights of the course include great weather, a beautiful jaunt across the St. Johns Bridge, and copious amounts of gummy bears. The first 18 miles were strong. After that, my energy level dropped significantly and I dosed on said gummy bears to get to the finish line. “Let’s do the ultra,” Leah says first at breakfast and then again this evening, referring to the Autumn Leaves 50/50 happening at the end of the month. Heh, we’ll see.